Learn to Drive! Summer Courses - Safety Council of Palm Beach County, Inc. The safety of young drivers is not a new issue. Although the teen driver fatality rate dropped 46% from 2007 to 2016, car accidents are still the leading cause of death in the U.S. for teenagers. Luckily, motor vehicle crashes are preventable, and there are steps to be taken to help reduce the risk of an accident. The Safety Council of Palm Beach County, Inc. is proud to offer the “Behind the Wheel Course for Students” Learn To Drive course. This teen driving school teaches the essentials of defensive driving and decision making skills with hours of practice on highway and residential roads. The statistics show a challenge for teen driving, as teenagers are more likely to drive distracted, ride without seatbelts, or drive impaired. Behind the Wheel Driving School can help ease your mind as a parent by ensuring that teens are taught the importance of safe driving. 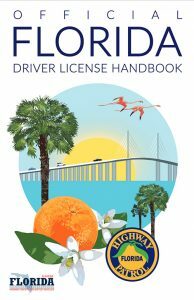 To register for Behind the Wheel Driving School Learn to Drive!, your student can enroll in a summer school Driver Education Course at high schools in Palm Beach County. Find more driver improvement classes on our Course Calendar, or call the Safety Council today for more information.